Our weekly Welcoming Lunch is possible thanks to the help of our fabulous volunteers. 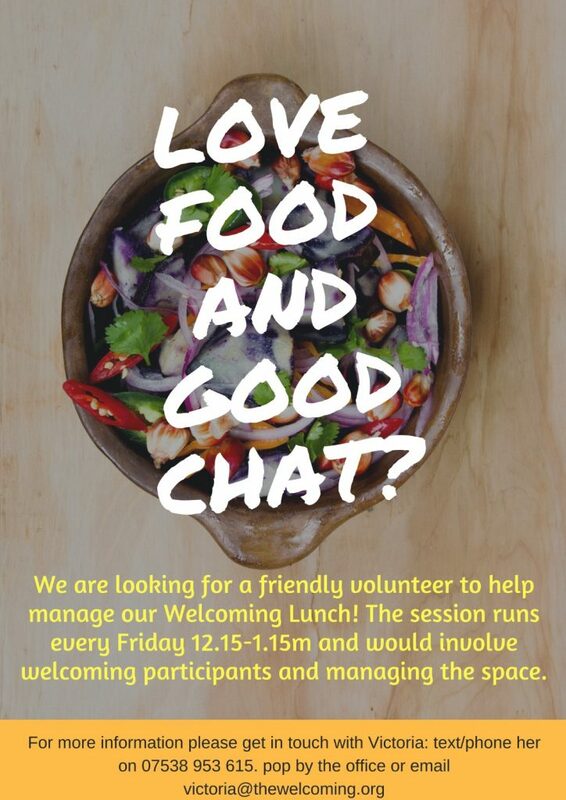 We have two roles available to help support our weekly Welcoming Lunch on Fridays. This role involves collecting the food from Pret-a-Manger on Lothian Road at 5.55pm sharp, then bringing it back to the Welcoming to store in our fridge. This all takes no more than 1 hour / 1 hour 15 minutes. It is a very straightforward and practical role that makes a big difference for us.